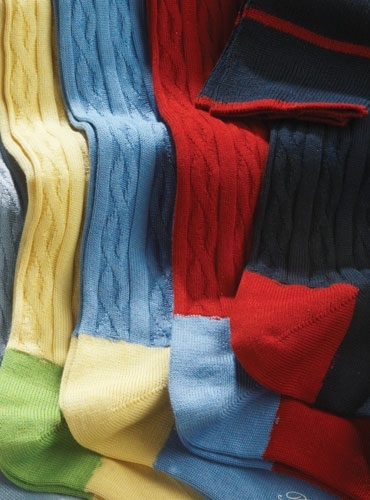 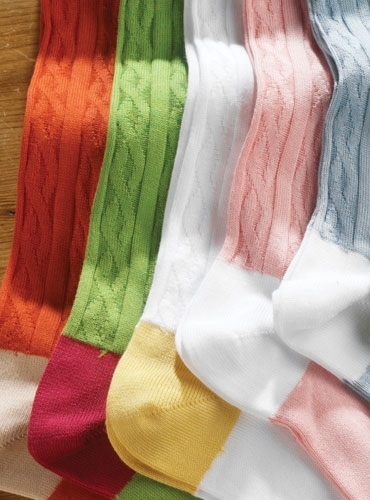 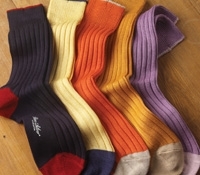 Our soft and luxurious Sea Island Cotton cable socks, with a contrasting toe and heel. 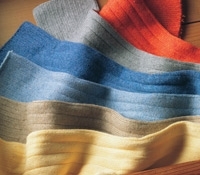 The exceptional Sea Island Cotton fiber results in rich color as well as softness and durability. 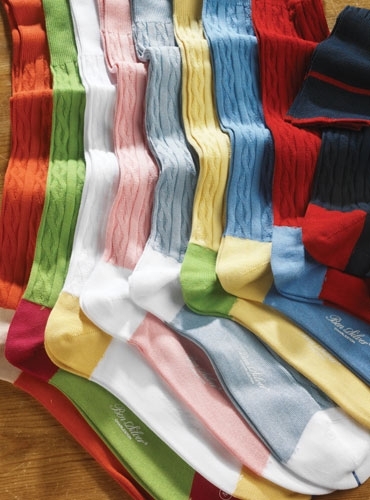 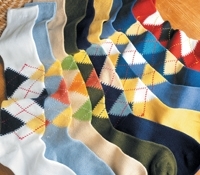 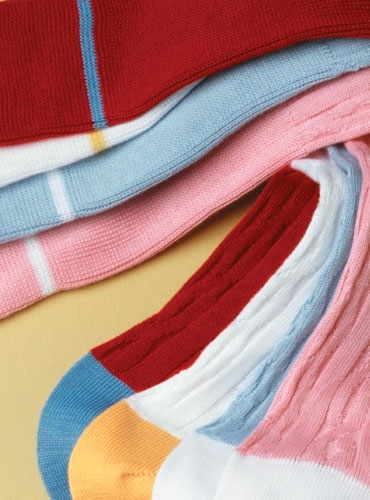 Above the calf length, in sizes M and L. Shown from left to right: 18-coral, cream; 15-lime, dark pink; 23-white, yellow; 21-pink, white; 22-light blue, white; 16-yellow, lime; 11-blue, yellow; 19-red, blue; 4-navy, red.